defu dry dog food with BIO quality. Now with an improved recipe: tender poultry with healthy buckwheat, sorghum, rice and cornflour, the finest vegetables and selected herbs. defu dry dog food with BIO quality. Now with an improved formula: tender poultry with healthy buckwheat, sorghum, rice and cornflour, the finest vegetables and selected herbs. 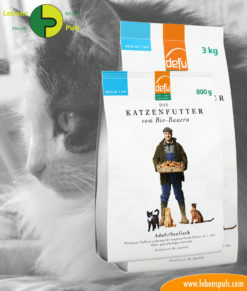 Premium bio wholesome food for junior dogs (from 4 months) to senior dogs (over 10 kilograms) and everything in between. Premium, wholesome bio food for young dogs from the age of 4 months. 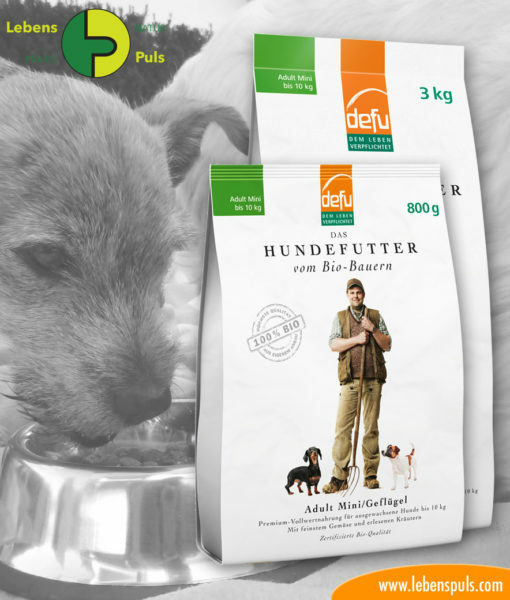 Premium, wholesome bio food for adult dogs that weigh up to 10 kg. Premium, wholesome bio food for adult dogs that weigh over 10 kg. 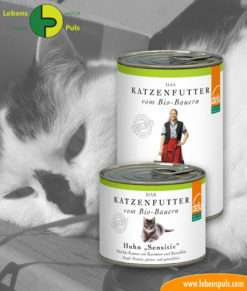 Premium, wholesome bio food for older dogs that weigh up to 10 kg. Premium, wholesome bio food for older dogs that weigh over 10 kg. Now with an improved recipe: tender poultry with healthy buckwheat, sorghum, rice and cornflour, the finest vegetables and selected herbs. 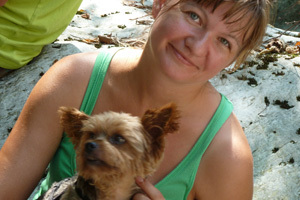 The LebensPuls practice, whom we work with, had long been searching for the ideal food for our beloved four-legged pets. Almost all manufacturers claim to have high-quality food, but when you look in detail, there are big differences that make them worlds apart.